Head over to That Craft Place Blog to see what the rest of the Design Team have made. Amanda this is just so fun. Just adore the autumn colouring and the cute bunny dies. Cute image, love all the layers and colors! Thanks for joining us at Open-Minded Crafting Fun!! Thanks for sharing with us at MAWTT! ohhhh this is sooo fun! 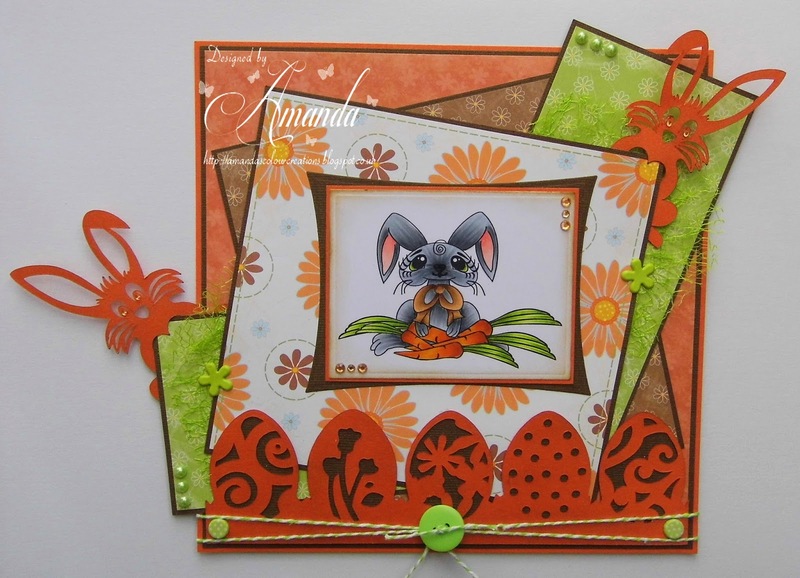 Totally love all the layering and the great rabbit die cut you have added. Echo the Bunny is adorable and you did a fabulous job with him thank you so much for joining our challenge at Delicious Doodles. I love the border of eggs!! This is fantastic!! I love the layers.. those bunnies are way cute too!! LOL I LOVE IT!!! Thanks so much for playing along with us at Open-Minded Crafting Fun Challenges!!! Good Luck! I hope we see you again!! Back again!! Still loving your card ;) Just with a different DT hat on :) Thanks so much for playing along with us at Delicious Doodles!!! Good Luck! I hope we see you again!! Gorgeous colourful card, love the image. Thank you for joining us over at CLF, hope you will join us again. Fabulous! Great coloring and such amazing cuts from the Silhouette! Thanks for sharing at OMCF. So adorable and cute image! Thanks for sharing your creation at The Emerald Faeries!